Stache ($1.99) by d3i Ltd is a visual approach to your bookmarks. 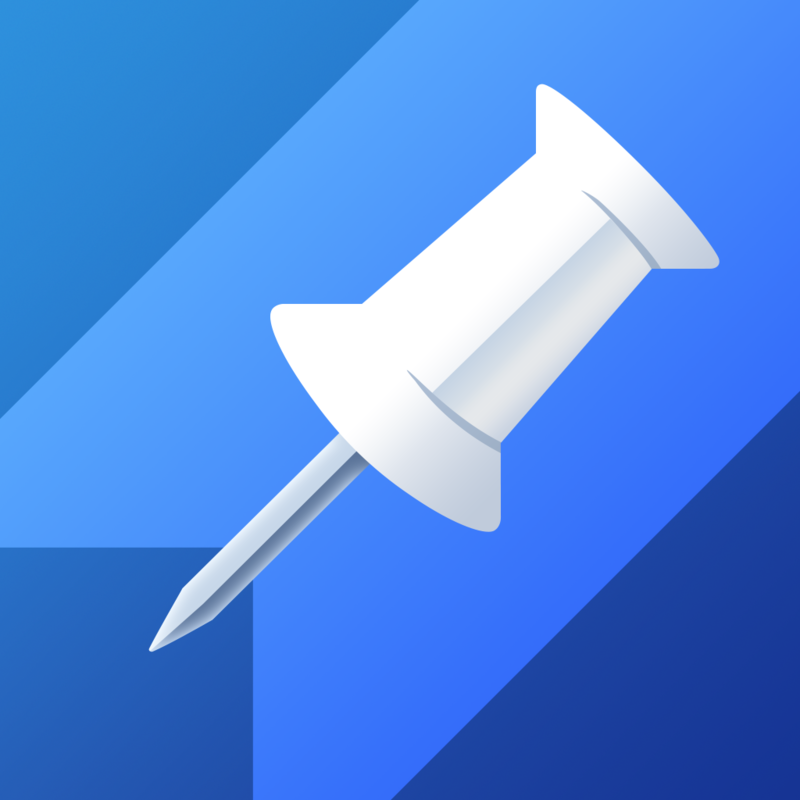 If you would rather see live thumbnails of your favorite websites rather than just a text link, then Stache is worth a look. 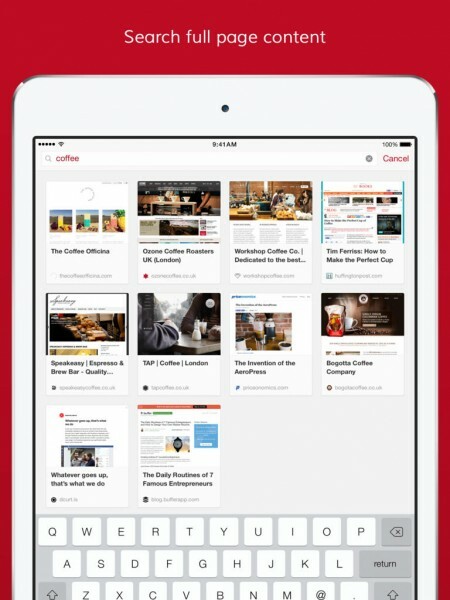 When it comes to bookmarks, I have been storing everything of interest in Pinboard with my app of choice, Pushpin. However, sometimes people prefer visuals, which you could get with services like Zootool and Kippt. Unfortunately, both of these services have shut down now, but fortunately, Stache is here to save the day. 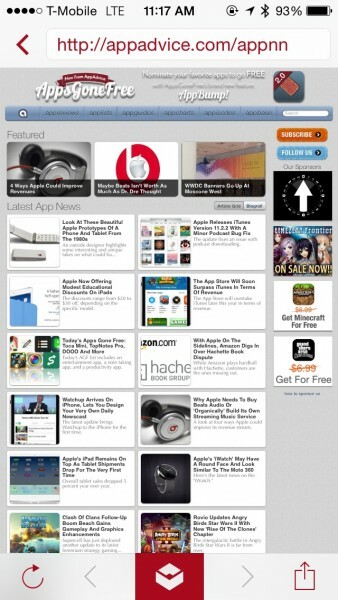 Stache is a universal iOS app that also has a companion Mac app available in the MAS for $6.99. 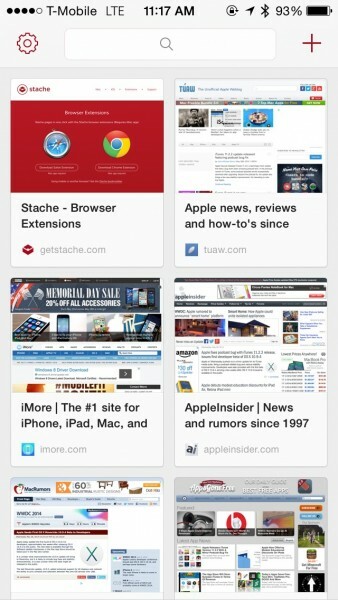 Personally, while I prefer saving my links in Pinboard, I am still enjoying Stache. The interface for the iOS version is incredibly simple and clean, with a no-frills design so you can focus on the important stuff — your bookmarks. 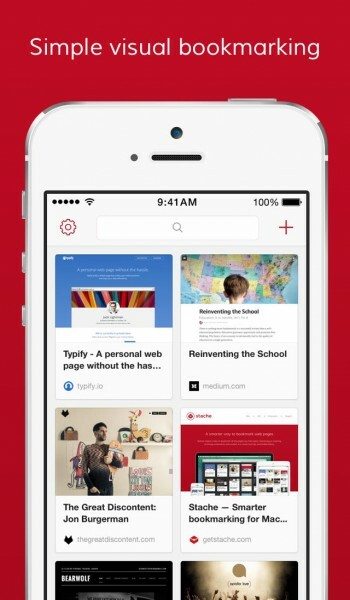 It has a very iOS 7 feel to it, featuring a lot of whitespace and thin, light iconography. 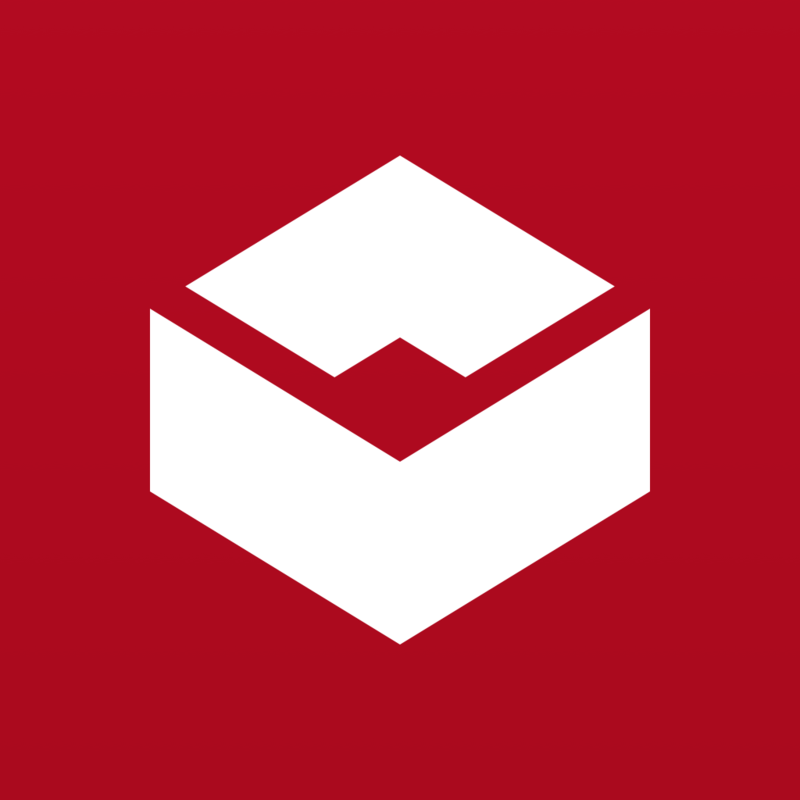 Everything in Stache is pretty intuitive and straightforward, so it’s really easy to get started with using it. To start adding a bookmark from the iOS app, just tap on the “+” button in the corner. 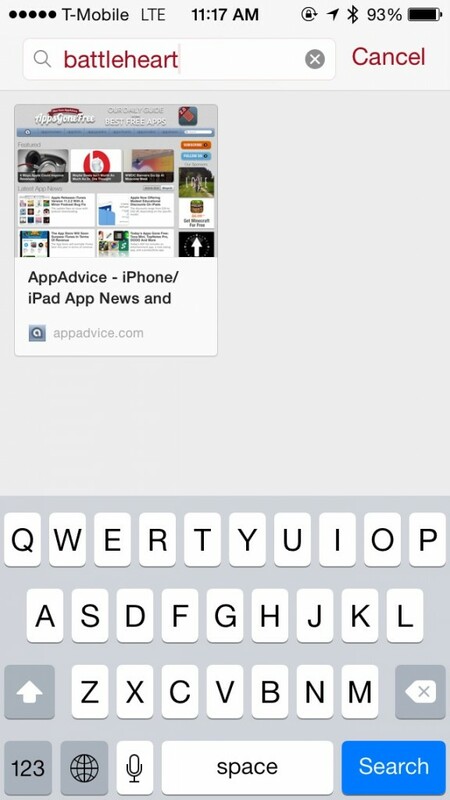 From here, you’ll get an in-app browser, where you can type in the address for the page you want to go to. 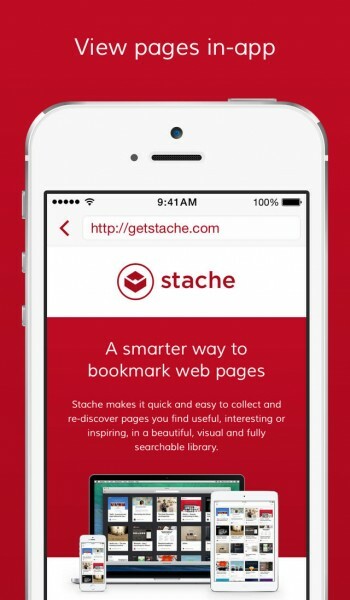 When you find what you’re looking for, just tap on the “stache” button in the center of the bottom toolbar (it’s only available when the page is finished loading up), and it will be saved to your Stache bookmarks. If you end up tapping on a few links, you can go back or forward with the buttons, or reload the page. Optionally, you can also open the link in Safari or Chrome (the default can be changed in the settings), add it to Reading List, or you can share the URL through the iOS 7 Share Sheet. Once you start acquiring bookmarks in Stache, you will see the main screen get populated with preview thumbnail tiles for each link saved. Having visual bookmarks makes it easier to identify and preview the pages quickly, rather than going to each to see what’s new. 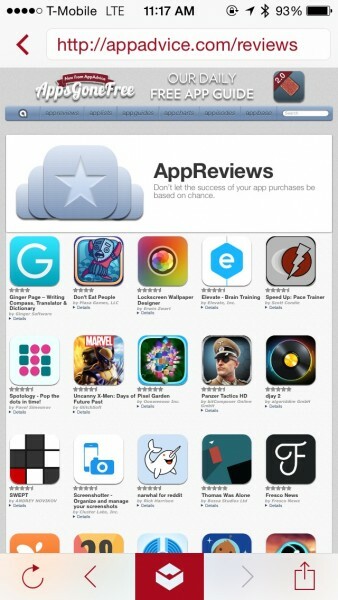 Just tap on the one you want to view to view it with the in-app browser. 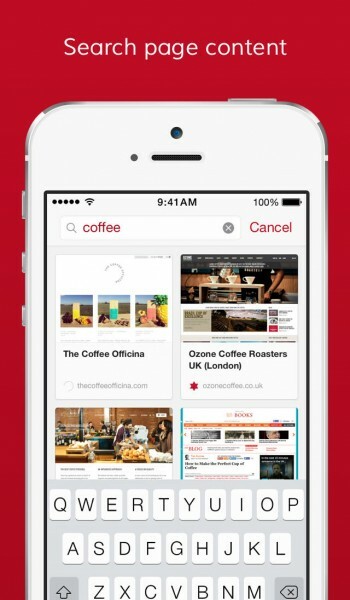 Stache also features a content search tool to help you find what you’re looking for. Just type in the words you need, and Stache will filter through your bookmarks in real-time, giving you results quickly. This is not just used to help find the title of the page, but rather you can look for specific content on a site as well. It’s actually quite nifty. To make things easier, there is also a bookmarklet that you can install on iOS, or even Safari or Chrome on your computer if you get the Mac version. 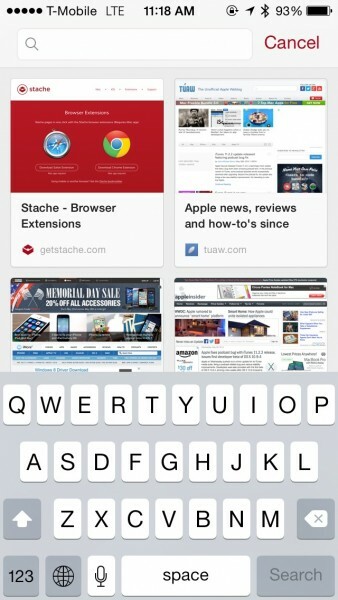 With the bookmarklet and extension, you can quickly stache a page away with a single tap or click. 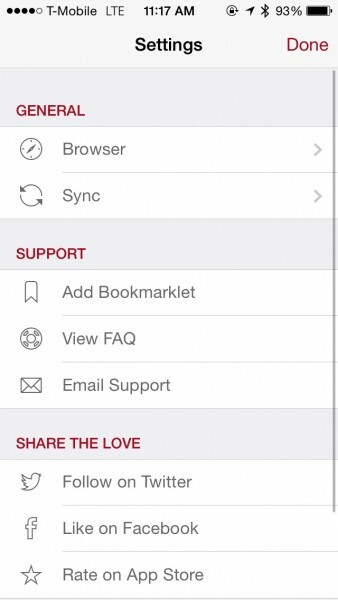 For those who are wondering how you would keep your bookmarks all together across multiple devices (iOS and Mac), don’t worry — Stache comes with iCloud syncing so all of your visual bookmarks are accessible from any device. The sync is also very fast, as I was able to see a bookmark I saved on my Mac within seconds on my iPhone and vice versa. As I mentioned, Stache does have a settings screen, but only has two things: default browser for sharing (Safari or Chrome), and manual sync. You can also access the bookmarklet from here as well. 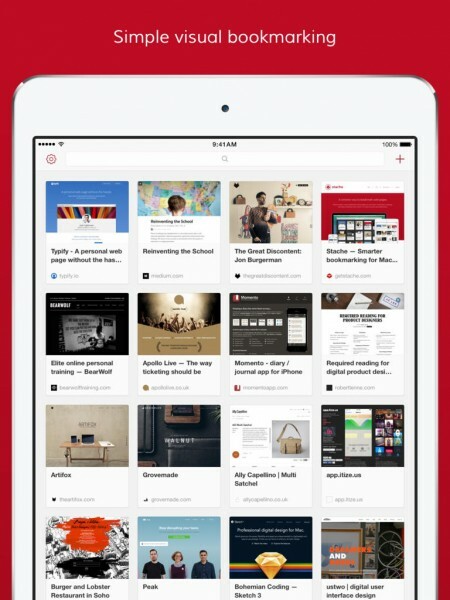 I’m really enjoying Stache so far for visual bookmarks, even though I still prefer using Pinboard. 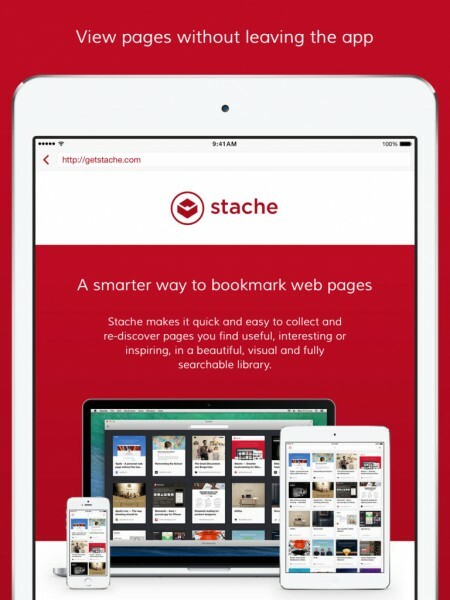 However, if you’re the visual bookmark person, then you should definitely consider picking up Stache. And since this is an app and not a service, you don’t have to worry about it shutting down in the future. 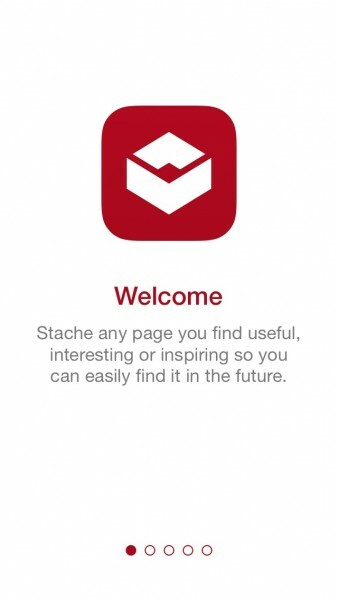 You can get Stache for iOS on the App Store for $1.99. 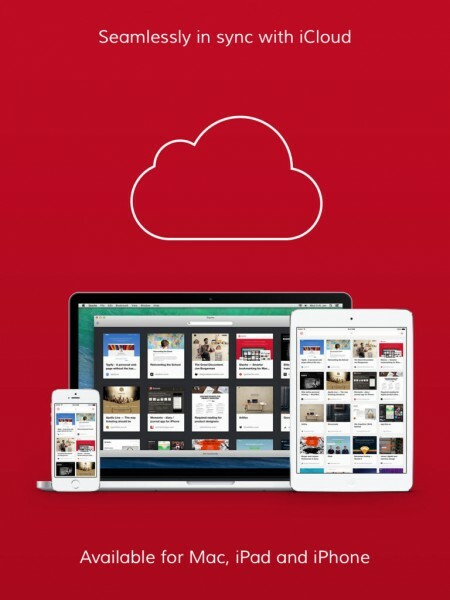 The Mac version is available on the Mac App Store for $6.99.